Hello Fans! It has been a bit since I have written anything for you (at least worth reading), but I wanted to tell my story of novice welder to super fabricator (in my own mind)! Sorry for the length, I am chatty today. 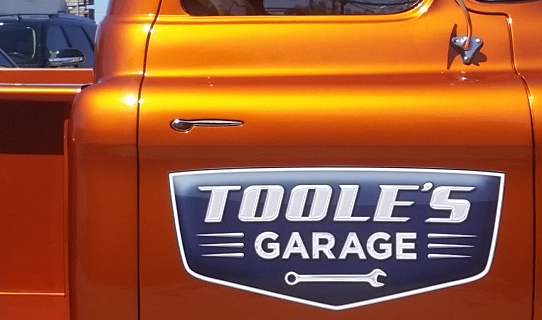 Those of you who are local or follow us on Facebook know the Toole’s Garage truck. 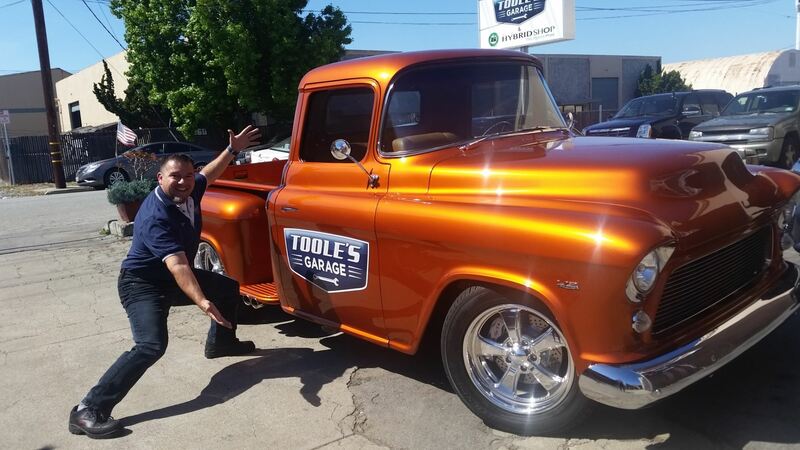 It was a project that started out in 2009 to be just Dave Toole building an old truck to use as a shop vehicle, durable, versatile, and a road rescue machine. 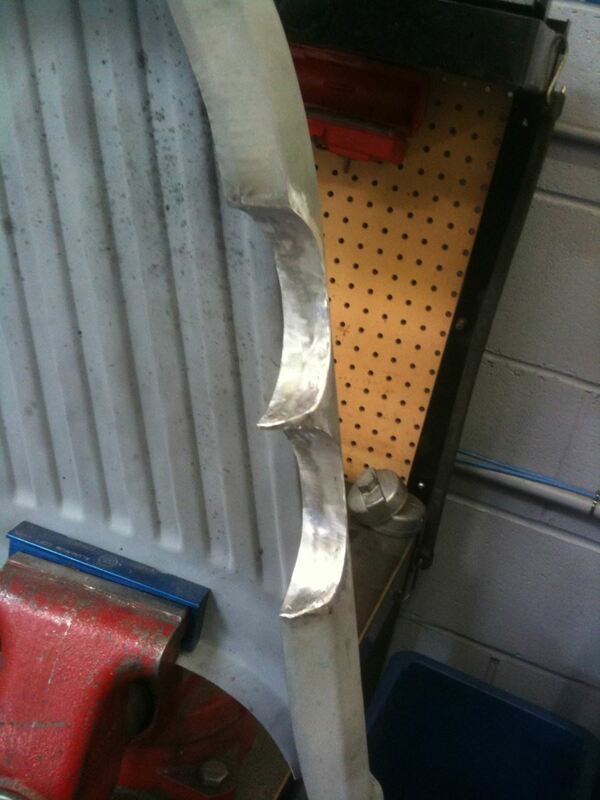 This of course led to a new steering column and my first attempt at welding. 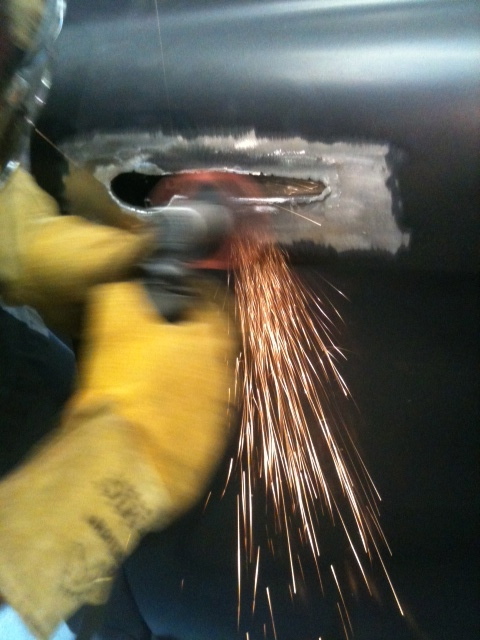 I bought a welder and started to weld up all the holes on the firewall. Well, needless to say, after melting holes on the firewall and spending hours grinding off the lumps of metal filler used to weld the plugs in place, I was ready to sell the welder and resign to the fact that I sucked. I shifted gears and started to work with the suspension, the metal was much thicker, so I figured I would give it one more try. I invested in an auto darkening helmet to give myself any chance possible to weld without sucking. 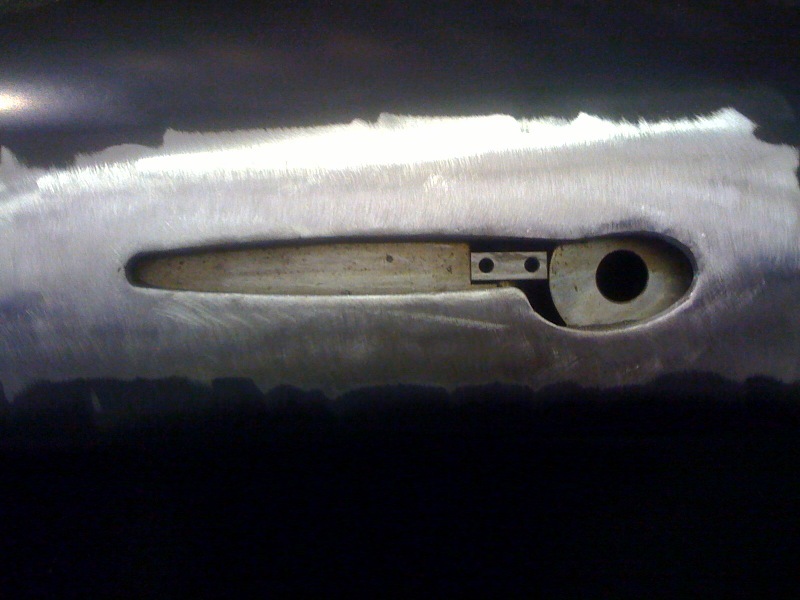 WOW, after a couple of test pieces, I really saw what was happening with the metal! Sweet! Once the confidence built, I started testing out my new found skills on the thin sheet metal again, Voila! Not as easy, but I got it. Then, in 2011 I was watching the car builders on TV, my brain started thinking about all the things I could now do! I was watching an Episode of Gearz and Stacey David installed some awesome door handles. I found the website, www.kindigit.com that made them. 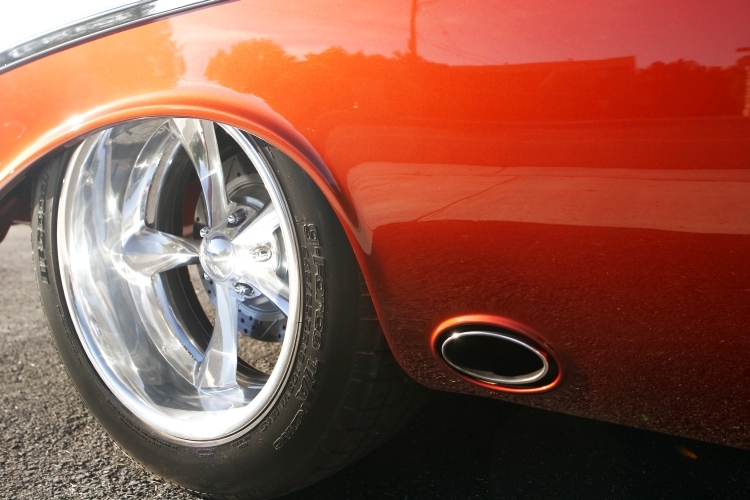 They had some beautiful cars on their site and all of them had those awesome handles on them. I had to have them. I called them up and talked to Charity Kindig on the phone for a while to let her know what I was thinking about. She walked me through what they could add to the handle to make it work. DONE! Ordered them up. After receiving the handles (and wiping the drool off), I started mocking it up. 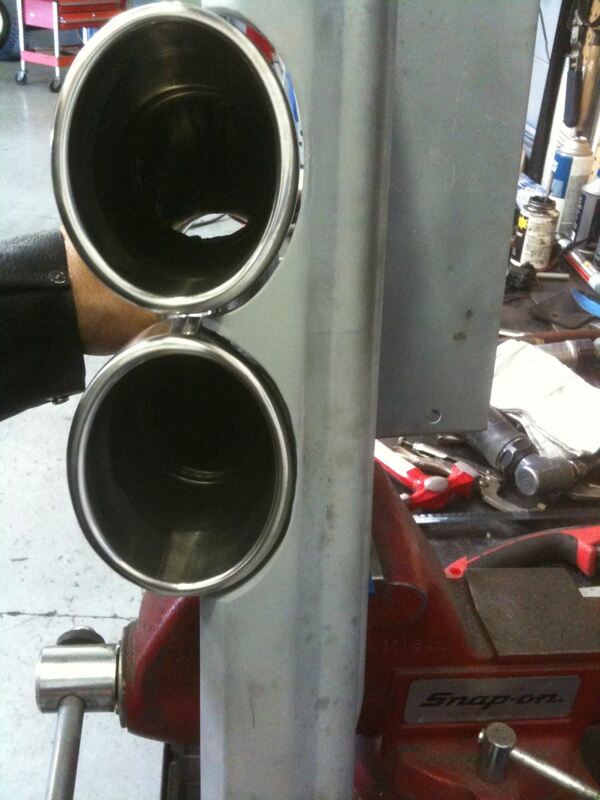 Being a straight up rookie fabricator, I did have to call them back a few times. They were fantastic on the phone helping me out. I was off to the races! The directions included were very clear and the job was really straight forward. 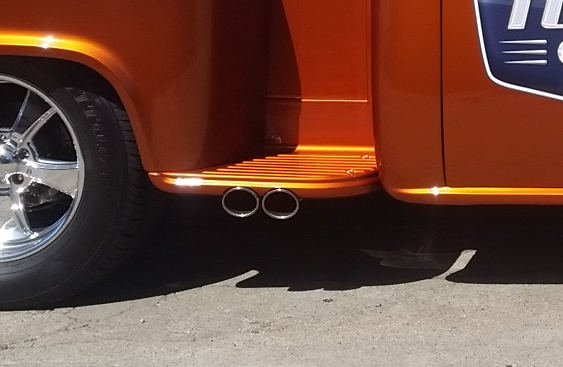 ​I realized quite quickly that they were not going to fit in the stock location on my truck, so I moved them into the thicker part of the door, and low and behold, it looked even better there. I drew out the supplied template and out came the air saw. Now, for my welding (worried face applied here). These were not practice pieces any more. 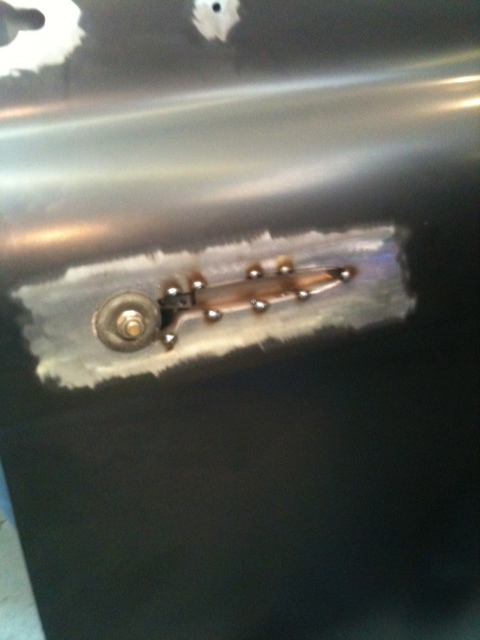 The welding in of the handle went smoothly! Grinding it down after, was also easily done. When completed, it looked like it would need NO filler. Great design Dave Kindig and team! Being super excited that I was in the arena with Chip Foose and Dave Kindig (Insert rolling laughter here), I was ready to tackle another fab on the truck. 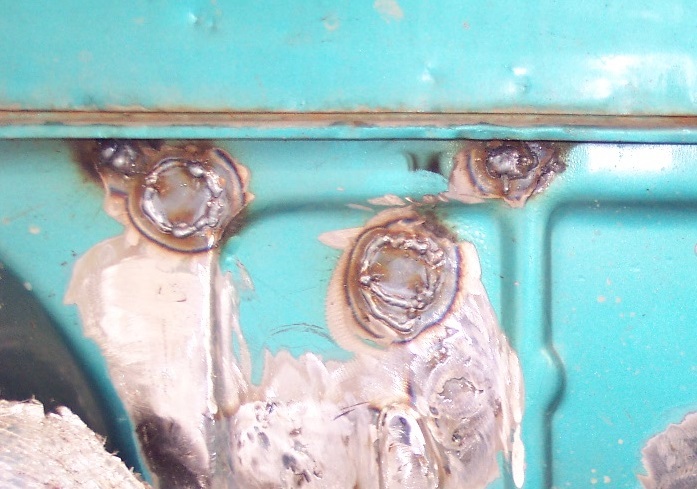 On the Kindigit site, there was a 1956 Bel Air that had exhaust coming through the rear 1/4 panel. It looked soooo cool. 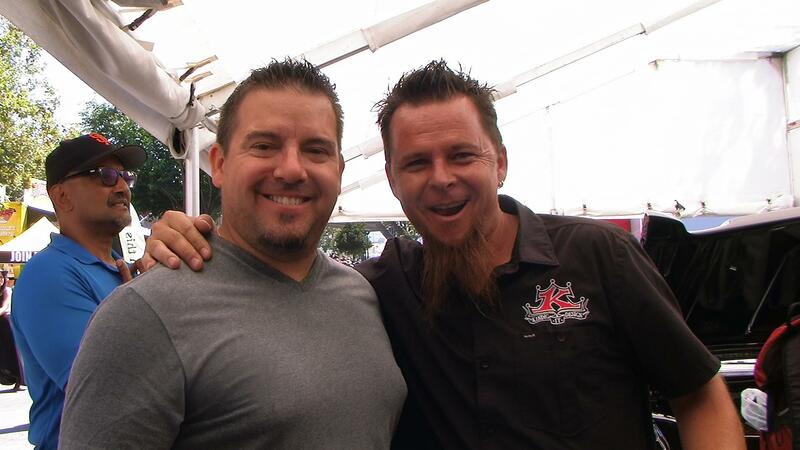 So I got on the horn again to Kindigit and spoke with Dave about how to do that. He told me exactly how they did it, which was way easier than I was thinking, and it was going to be very achievable for me. He then suggested a different exhaust exit location, out from under the step sides of the bed. He pointed me to an example he had on his website. I liked it. I already had a new vision. During our conversation, we were chatting about being shop owners, business growth and he shared with me about the day he felt like “he made it”. He was at a Toys-R-Us looking at some Hot Wheels and overheard someone saying, “Is that Dave Kindig?” He reached in and slid a ton of Hot Wheels into his cart and said in his head “yeah, I made it”. The reason that stuck with me is because a few years later, a similar feeling came over me when out doing my normal life stuff. It was a welling up of pride and I immediately thought of Dave Kindig. During my build, I had the opportunity to meet and chat with Dave in person at the SEMA show in Las Vegas, and at the Good Guys in Pleasanton, CA, my neck of the woods. What a really great and open guy. He was already fairly well known at that time, but still treated everyone like they were important. With their new show Bitchin Rides on air, he clearly is on a different playground than I now. I went to a SEMA show where he was talking about the Futureliner. I stopped at a table where he was at and just started chatting with him. I know he probably did not remember me, but still talked with me as if he had. Then, I realized that there was a HUGE line to see/talk/get his autograph that I apparently did not see (whoops, I forgot, #famousnow ). Even then, he didn’t shoo me away or make me feel bad about losing my sense of awareness. Quality guy. Now that my truck is on the road, I take it to shows and even win some awards. 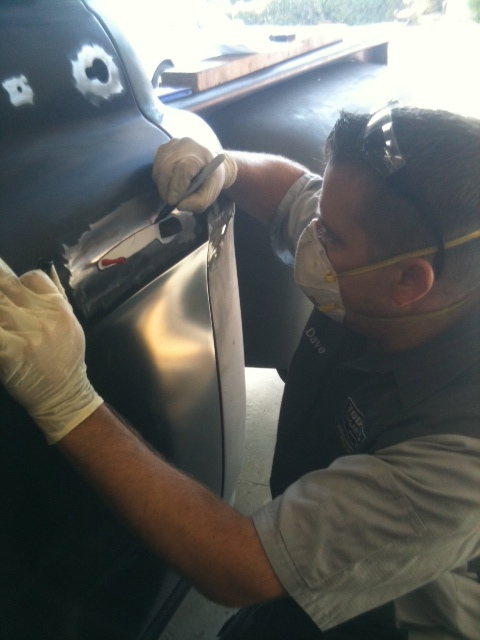 I always let people test out my door handles and give a shout out to Dave Kindig, for the great vision behind it. For those of you that are thinking about doing something custom, I definitely suggest the door handles. Click HERE to go to their website to purchase them. Well worth it.